HP has announced that they will be discontinuing operations for Touch Pad and all web OS phones. HP is going to optimize the value of web OS software in a forwarded direction but also clarified that it will discontinue operations for webOS devices such as webOS phones and the Touch pad. This is a bad news for the persons who are web OS die-hards (including myself ) many of whom have waited for the product for a long time — first in hopes that Palm would launch a device worthy of the rather fantastic operating system, and later in hopes that HP’s attainment of Palm would be the spark to the fire that just never seemed to light. On the otherside, web OS itself isn’t dead — at least, not just yet. HP’s wording up above leaves things a bit vague, with at least two potential routes left open: licensing webOS to others, and sticking webOS in other, non-phone/tablet devices (HP has already mentioned plans to put it in printers and cars.) Until further notice, however, it’s essentially dead in the water. Samsung has also joined the 10 inch netbook market by launching its Netbook NC10 in which the Eee PC 1000H, MSI Wind, and Lenovo IdeaPad S10 are prime while its range is comparitive less ranges from 370$ to 499$. 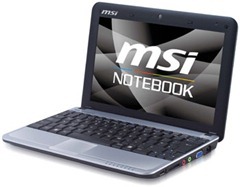 According to global.msi.com MSI is now among the top 4 international netbook brands and the Wind Netbook – U100 was even the market leader in the industry in 2008 for 10″ netbooks! MSI will have the entire netbook lineup at this year’s CeBIT exhibition, and the latest U115 Hybrid and U110 ECO will also be making its appearance. What makes these two notebooks special is the fact that they will feature Intel’s Menlow platform which is commonly used on Mobile Internet Devices (MID). 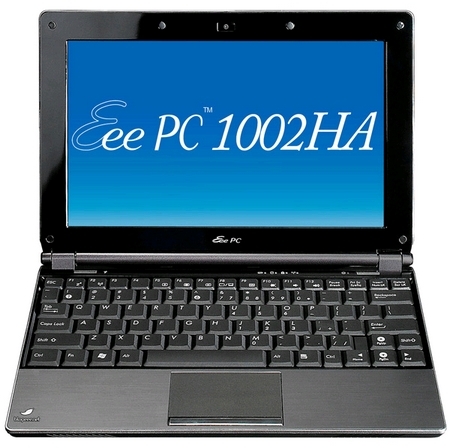 Eee PC products revealed are Eee PC T91,Eee PC 1008HA and Keyboard PC.